Jenne, a value-added distributor of IP telephony, audio and video conferencing, unified communications, data networking and IT security products, has launched bundled video conferencing solutions from two of its unified communications manufacturer partners, LifeSize and Revolabs. LifeSize offers scalable, enterprise-quality client-server solutions that support high-end HD video collaboration, while Revolabs provides a range of wireless audio solutions suitable for unified communications, enterprise collaboration and professional audio applications. The new bundles, which are available now and are suitable for a wide range of vertical markets, are designed to enable end-users to experience pristine video quality and high quality, intelligible wireless audio—no matter how large the installation. Jenne is offering three separate bundles, each optimized for different workplace environments. These include solutions for medium-large conference rooms, small-medium conference rooms and small office / home office environments. Includes LifeSize Room 220, LifeSize Room 221i and Revolabs Fusion. 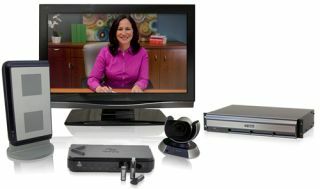 “Our new video conferencing bundles from LifeSize and Revolabs provide an unsurpassed range of price/performance options,” commented Vince Piccolomini, vice president of business development, Jenne. "By combining best-of-breed solutions from LifeSize and Revolabs, we are able to offer turnkey solutions for our resellers that combine HD video and high quality wireless audio—no matter how small or large the end user's environment may be."